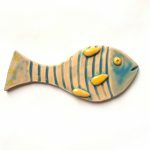 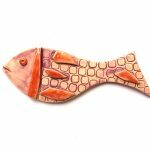 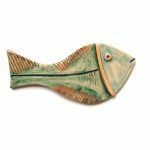 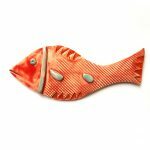 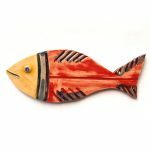 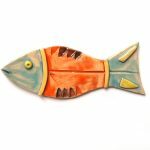 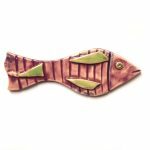 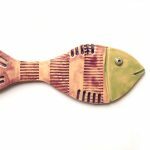 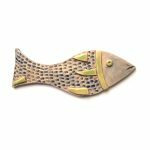 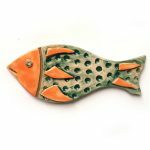 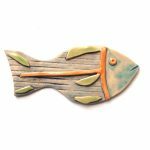 Unique ceramic fish wall art for your cozy home decor! 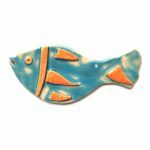 This amazing blue fish is part of the Summer 2016 Collection. 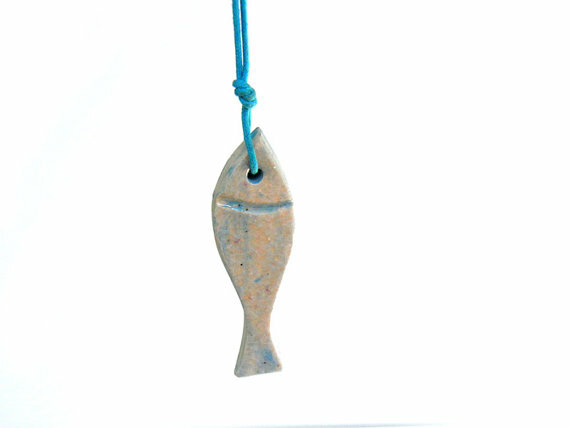 Its body is made of white clay, left in its natural color, with a gentle touch of light blue here and there. 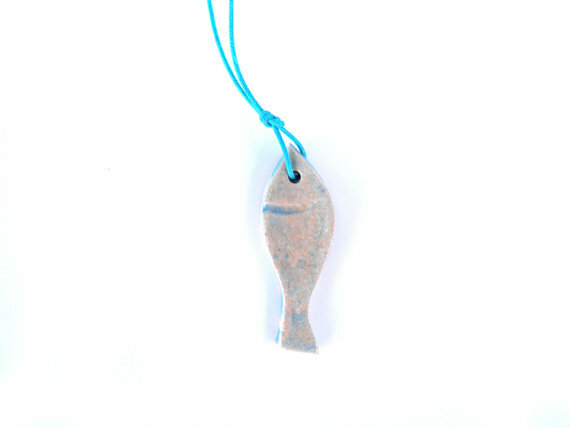 The fish is decorated with thin blue lines to emphasize its sea color. 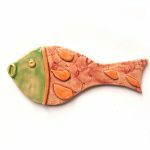 It is also decorated with some bulging ceramic elements (like the eye and the fins) in search of a slight 3D effect. 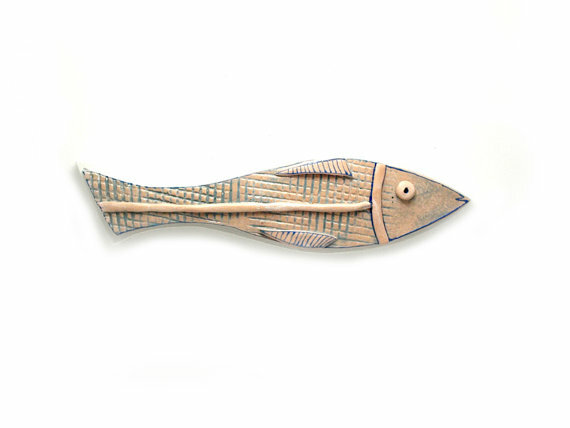 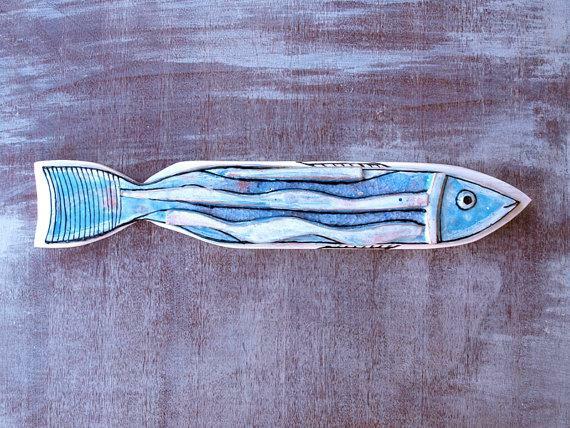 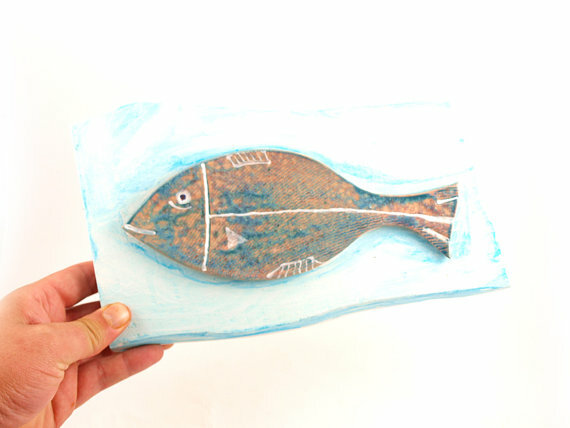 The fish is placed on a wooden board, painted in white, emphasizing the 3D effect, when hanged on the wall. 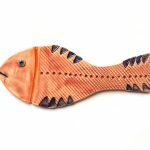 It’s got a hook on the back for easy hanging. 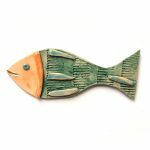 It’s a perfect addition to your home décor or an awesome gift for someone special. 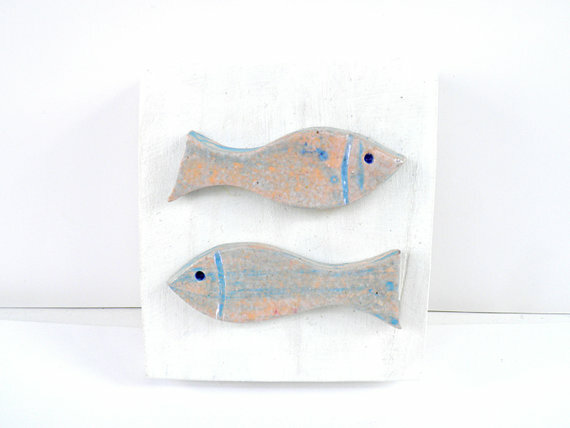 These are two handmade ceramic fish placed on a white wooden base. 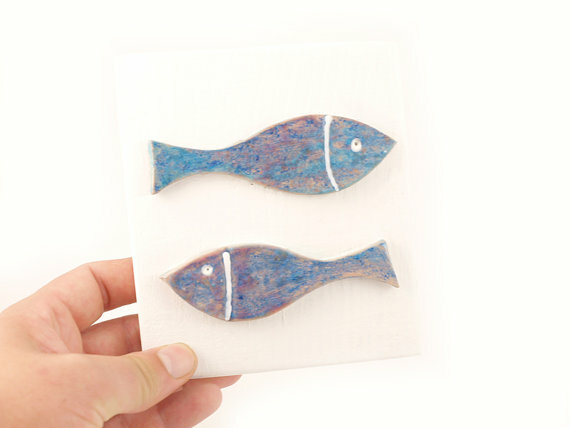 They are made by unique technology and are covered with blue ceramic glaze. 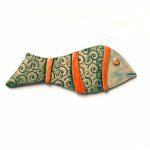 They are suitable both for your personal collection and a gift. 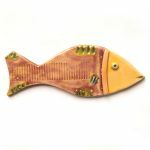 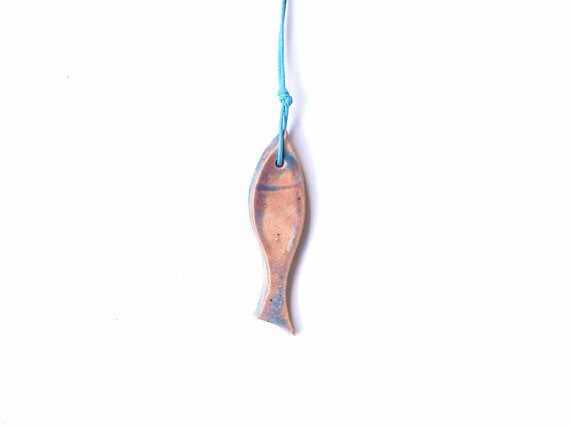 At the back of the wooden base you will find a 99heads art studio tag and also a small hook, which you can use to easily hang the fish on a desirable place. 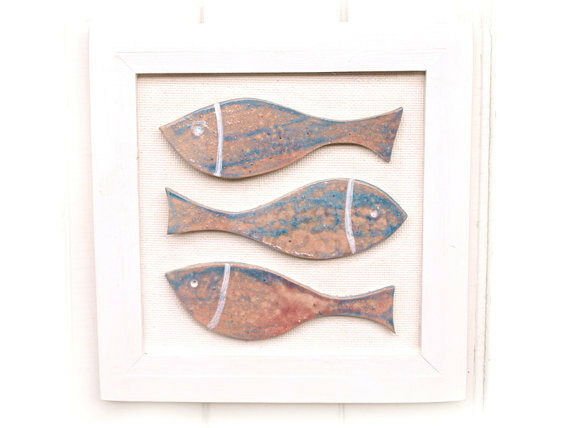 These are three handmade ceramic fish placed on a white wooden frame. 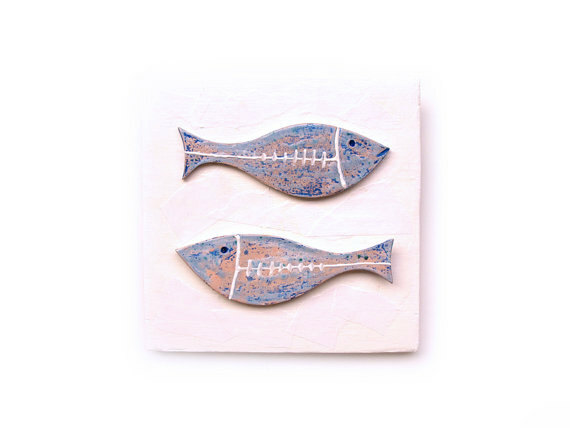 They are made by unique technology and are covered with soft blue ceramic glaze. 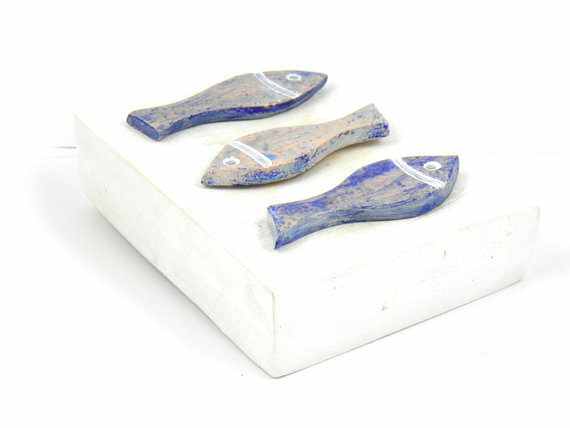 They are suitable both for your personal collection and a gift. 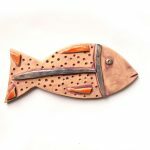 At the back of the wooden base you will find a 99heads art studio tag and also a small hook, which you can use to easily hang the fish on a desirable place. 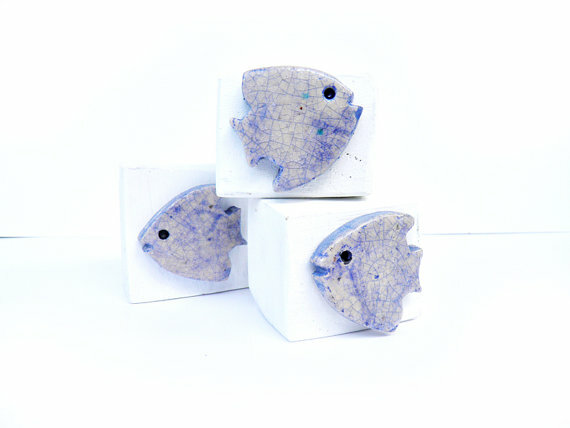 These are three handmade ceramic fish placed on a white wooden base. 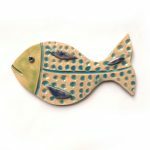 They are made by unique technology and are covered with blue ceramic glaze. 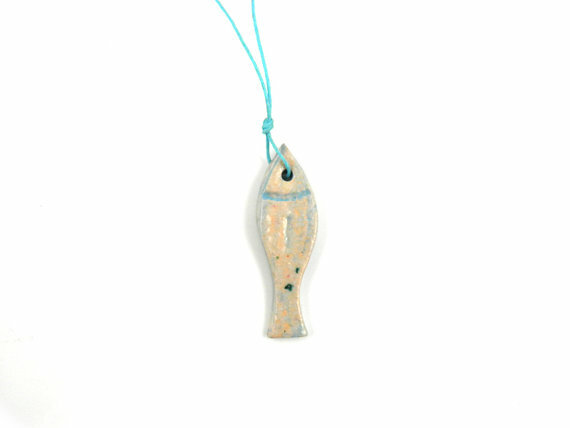 They are suitable both for your personal collection and a gift. 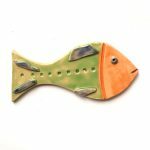 At the back of the wooden base you will find a 99heads art studio tag and also a small hook, which you can use to easily hang the fish on a desirable place. 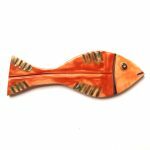 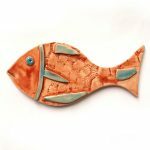 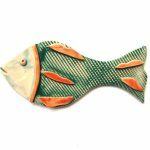 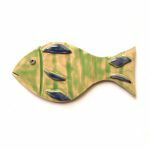 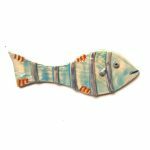 These three ceramic fish are handmade and are a perfect home decor. 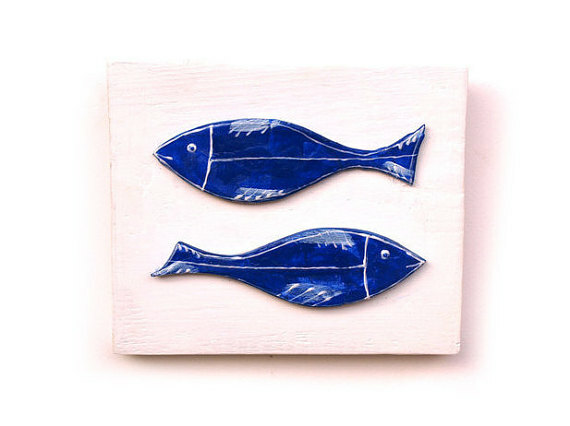 They are made of porcelain and blue glaze. 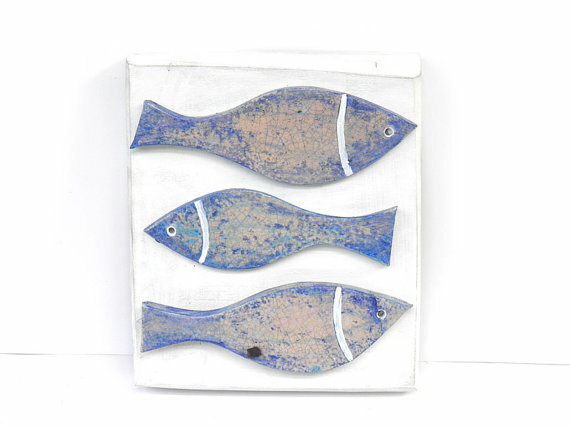 They are placed on white wooden blocks. 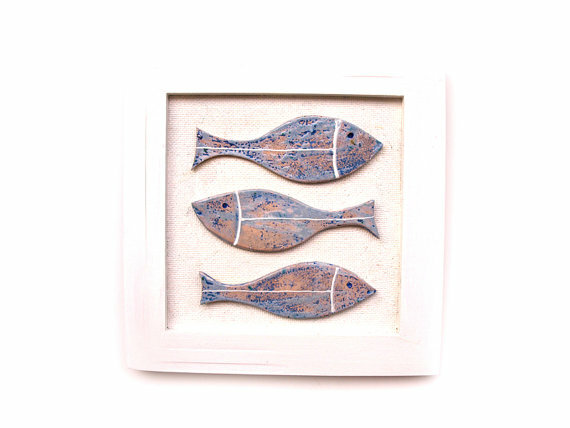 You can arrange them in different compositions. 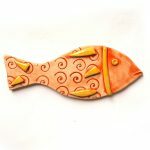 They are perfect for decorating your home or making a unique handmade gift.